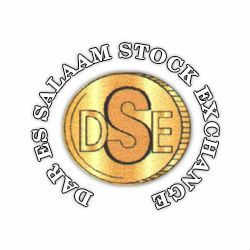 The Dar Stock Exchange (DSE) Enterprise Growth Market (EGM) is set to list three more banks and one Oil and Gas company in the coming months. The three banks to be listed are Mwanza Community Bank, Mbeya Community Bank, and Mbinga Community Bank; and the Oil and Gas exploration firm is Swala. Mwanza Community Bank is expected to list in December while Mbeya and Mbinga Banks wrap up with final listing procedures. Swala Oil and Gas is expected to list and release 3.75 million shares to community members in areas it conducts business by early January. The Australian independent oil and gas exploration company has recently concluded two-dimensional, seismic surveying in the Morogoro Region, which have revealed high probability of petroleum reserves. The first company listed on the EGM was Maendeleo Bank: its shares appreciated 20% on the day of opening and it floated 9.2 million stocks in less than one month.